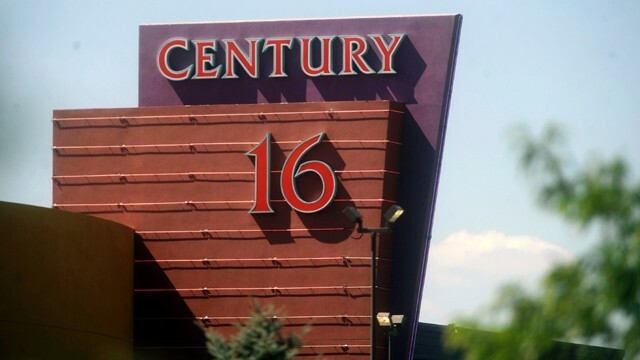 This is an un-edited, un-finished, rough draft of my experience of the tragedy that took place at Century 16 theaters here in my hometown in Aurora, Colorado at the Midnight showing of The Dark Knight Rises. This is tragic. I hate that this happened, but i felt an urgency to share my experience in detail. I am so sorry for the families that have lost loved ones. I am praying for you. Hope is often found where hope is fully lost. Turn To Jesus, He IS Hope. I was there, at the shooting. I felt the shrapnel. I heard the shots. I witnessed the confusion. I smelt the smoke and saw the sparks. My eyes burned and my throat choked on the gas. Confusion was in the air making friends with panic. Chaos was born in an instant and as reality struggled to set in, there, hope was lost. I’m on vacation-or so I thought. I came to relax and rejuvenate-to vegg out. I wanted to relax. I planned to leave my small troubles behind for a week. I flew into Denver Wednesday morning. I was visiting from Lake Tahoe California. I was excited and blessed to be visiting my friends and family here in my hometown – Aurora, Colorado. One highlight of this trip was sure to be the opening of the new Batman movie. I must confess that I am a huge batman fan – I even drink my coffee out of a batman mug at home. So on the second night of my vacation to get away from “life,” you can imagine that I was excited to see many of my friends at the midnight premier of the new “Dark Knight” movie. Excitement was in the air as well as anticipation. Anticipation for seeing the new movie and for seeing many of my friends who were waiting ahead of my wife, brother and I inside theater Eight. The theater was packed as we expected it to be. Especially at this particular theater. Century 16 is a beautiful theater with huge screens and small ticket prices. At $6.50 per ticket, this was the place to be with all your friends for a carefree fun night of popcorn and excitement. We dropped my brother off at the entrance so he could buy himself a ticket. We parked the car in the back of the far right parking lot, as the parking lot was packed. The darkness of the corner lot was the only place left to find an open spot. Lindsay and I ran through the parking-lot toward the theater as we jested about not wanting to spend much time outside, after all “we don’t want to be shot” we said to one another. Only God could have known that less than an hour later we would be hand-in-hand running out of the theater, praying to God that he might spare our lives. We entered the theater and met up with my brother Joel. He said that he was just sold the last ticket to the 12:01 movie. At first they told him that theater 8 was sold out and yet at the look of disappointment on my brothers face, the ticket-seller asked if he was meeting a group inside? “Yes” was his reply and the worker said, “You know what, ill sell you one.” So with relief we passed the ticket counter and enter the lobby and concession area together. I soaked in the impressive theater as I had not been here in a long time and I was excited to be home, soaking in these old familiar places. From the Ticket counter on the right you turn to enter the very large two story lobby filled with concession stands, coffee counter and candy bins. You can look upstairs toward a large balcony with a staircase on each end. The staircases sandwich the popcorn and candy counters and at the top (second-floor), you can enter your theater from above the audience, level with the projector. We bought our candy on the lower level, used the Restroom and then entered theater 8 below the balcony from the ground level entrance. Lindsay and I had not been home for a while and some of these friends we were meeting, we had not seen in a year. We looked up toward the crowd as we entered, one of my best friends Ian, quickly spotted us, waved, I waved my candy back at him, and we quickly made our way to the three seats he had been saving for us. We shuffled in, shaking hands with the two rows of friends from church. I was very excited to see and catch up with one of my old friends and Pastors, Darrel. Darrel joked about being the oldest person there and then offered the remainder of his popcorn to us as he had already eaten half a tub and a candy item as they waited for the movie to begin. We took it and shortly after, the Dark Night began. The movie started and the excitement began to build. The movie was heavy and dark as was to be expected; yet it was inviting. It was fantasy. It was a moment to sit back, relax and be entertained with people you love. I held my wife’s hand tight as the movie began. No one expected that this Dark Knight was about to turn into an incredibly Dark Night. It was about 25-35 minutes into the film when the first major action-gun sequence began, and as the sound of on-screen gun-fire filled the air and our ears, a much louder popping-crackling sound spliced through the movie-noise. Everyone looked to his or her right, searching for the noise, all assuming that this was some sort of live special effect noise set up by the theater (we hoped for the best). Most everyone did their best to continue watching the movie. It was loud and exciting and we were not going to allow anyone or anything to ruin our experience and this much anticipated film, yet I could not take my attention away from the right middle entrance. Suddenly more cracks in rapid-succession rang out, this time accompanied with sparks, smoke and a dusting of some sort of shrapnel. At this point I was completely annoyed, believing that someone had thrown a crackle-bomb into the air or some other firework as some sort of prank, yet as anyone would be, I became uneasy and on guard. I stared to the right of the theater, about 3 or 4 rows beneath me as a small group of people were looking down, fixed on something. At this point, some people were whispering, as some were still trying to watch the movie. Everything was unclear at this time as communication was impossible because the movie was still playing, the lights were still off, and the guns were still firing on the movie screen. Some people to the right ran out the bottom exit toward the lobby and entrance to the theater. Little by little, the group below and to the right began to exit quickly. At this point, they had everyone’s interest and attention. I became concerned and we all started to stand up, looking around, waiting for answers. Soon, the same group who had just left, quickly ran back into the theater, in the dark while the movie was still blaring and shouted over the chaos on the screen, “nobody leave out the front! There is somebody out there shooting people!” We all hoped that this was still a prank! We hoped for the best even though this sounded like the worst. The group ran out the left front side of the theater next to the movie screen and then some of them quickly ran back in. I looked at my wife, grabbed her hand, and looked around toward every exit. My wife looked very worried at this point, then the fire alarm began to go off, flashing lights on both ends while the movie was still playing. The alarm was loud, the movie was loud, thick panic was in the air, and the theater was still dark. At this point my precious wife began to look increasingly fear-filled. She wanted to make for the exit. I grabbed her hand and told her that we had to keep our cool and stay put for the moment. “We cant just run out there, what if someone is out there waiting to shoot us as we run? We need to trust God and wait a minute.” People began to shout,” Turn off the movie!” we could not hear the message coming over the loud speaker because gunfire was still coming from the movie. I finally focused hard, trying to hear the loudspeaker message. “An emergency has taken place inside of the theater, please exit the building.” We looked at one another, I looked at Pastor Darrel, one row below me, and we knew we had to get out of there. I looked at Lindsay, held her hand and said, “let’s get out of here.” Joel, Lindsay, and I quickly made our way up the stairs to our left, opposite the screen, toward the upper theater 8 entrance that led to the balcony above the lobby and main entrance. We quickly reached the exit and there we were, atop the balcony, I stared around the wall looking down at the lobby as crowds were running around in panic. Police were flocking into the lobby with rifles and shotguns. Behind me people were running out of theater 8 and 9. Reality was soaking in as the movie came to life. People were leaving the theater 9 door covered in blood! My wife was in hysterics, saying, “I don’t want to be here, I want to go!” It was a war zone. I grabbed my wife and looked intently into her eyes and yelled, “Look at me! Don’t panic!” I reminded her that she had a God in heaven who loved her. “Don’t act like you don’t have a God.” I reminded her and myself that there was still a loving God who even in this chaos can create order. We stared down into the chaotic lobby below as we choked on the tear gas filling the air as it flowed out of theater 9. To the right, flocks of innocent people were running down the staircase, pausing at the bottom, taking shelter behind the railing, hoping for direction and then running for the front door toward the parking lot. We all assumed that a gunman might be in the lobby shooting people. I looked around for my brother. At the moment all I cared about was staying close to my brother and Lindsay. All I wanted was for these two people who I loved more than my own life, to make it out of here alive. “Joel!” I shouted. He was standing nearby. Together we looked below, looked at the staircases, looked behind us. More blood. It looked as though some people were running back up the staircase to the left. “We need to go!” So made our way quickly down the right staircase as you look out toward the parking lot. This all felt like a horrible scene from a movie that we had somehow become a part of. We were living the movie out and we could not escape this reality. We stayed low as we hurried down the stairs. The Columbine shooting flashed through my mind. When we neared the bottom of the stairs, we paused to take cover before we tried to prepare to run the short distance toward the glass entrance doors. As we paused to look around for the gunman, I pictured one of us being shot as we ran for the door. I quickly prayed, “please Jesus, let my wife and my brother get out of here safe!” I knew Joel was behind me, but I wasn’t sure where he was. We looked one more time through the lobby as people and police filled the scene. People in panic ran out as Police ran in. It seemed as if this lasted forever, though I’m sure it was but a moment. We finally ran for our lives, holding hands! Thank God, my wife was outside! We stood on the nearest median. Again I reassured her that we were together. I told her to pray and to quote scripture to herself. My next thought was for my brother. I never saw him exit the theater! Where was he? I looked back at the entrance scanning the chaos. I couldn’t find him! I was desperate to find him so I started yelling “JOEL!” It was panic. I knew it was no use yelling so I took my phone out and looked for his number. He answered his phone right away as he was looking for us. I told him where we were, he met us and we decide to make our way toward the back of the parking lot. We were hoping for safety. More and more police officers were flooding the parking lot and heading toward the theater entrance. We were looking for our large group of friends and we quickly found them as Ian flagged us down. “Is everyone ok?” “Is this everybody?” we asked one another. We decide to move back to the outside of the parking lot. As everyone gathered, I began to soak in the scene as if we were moving in slow motion. I couldn’t believe this was happening and that we were a part of it. The gravity of the situation began to set in as I could not help but hear an officer next to me yelling into his radio “I NEED EVERY ABULANCE IN THE CITY HERE RIGHT NOW!” “I need every available ambulance here right now! !” He yelled this three times as he made his way closer to the theater to help. Pastor Joel (my brother) and Pastor Ian gathered our friends in a circle; they held hands and began to pray. They prayed for the crowds, the medical care teams and the police. They prayed for the hurt and hurting. I prayed with my eyes open as I looked around. Many were still running out of the theater. The parking lot was full or cars and people. I noticed the blood. So many were bleeding or had blood on themselves. I saw Pastor Darrel Carrying a young woman in his arms as he ran toward the ambulances. I wanted desperately to help. I prayed as I walked back toward the theater trying to see if there were anymore injured who needed help. I cried out to God, “God, please use me, please help these people!” As I walked through the lot, I saw four people carrying a bleeding girl between themselves. Two of them had her arms around their shoulders while the other two were carrying her legs. I rushed closer to them, and as I looked for the girls’ eyes, I noticed that she was still alive! “Thank you Jesus!” I thought. As they passed me, I prayed for her safety and recovery. I turned briefly to watch them run toward the Paramedics. Just then, I noticed another man heading as fast as he could run in the same direction. Close to his chest he held a little girl. She was covered in blood and looked lifeless. My heart was sinking and breaking for the scene that lied before me. Again as if in slow motion I stared around the lot as I made my way closer to the entrance. The eyes of the people looked drained, empty, and hopeless. I prayed for hope and I found hope in knowing that my friends were gathered just a short distance away, praying to our loving God who is the God of Hope and healing. Please continue praying for the families involved and for those who have lost loved ones. If you have been affected by this shooting and need help or prayer, please contact Calvary Chapel Aurora at http://www.calvaryaurora.org.